Oregon Ballet Theatre opens its season this weekend with the slyly titled Amore Italiano - a double bill that bows to the Italian roots of ballet, in both classical and contemporary manner, in moods both light and dark. The inimitable Danish choreographer Auguste Bournonville was so enamored of the city of Naples when he visited it in the mid 1800's that he choreographed a love letter to it: Napoli has endured not simply as an idealized reflection of a colorful, exuberant culture, but as an illustration of the emotional power of classical ballet. 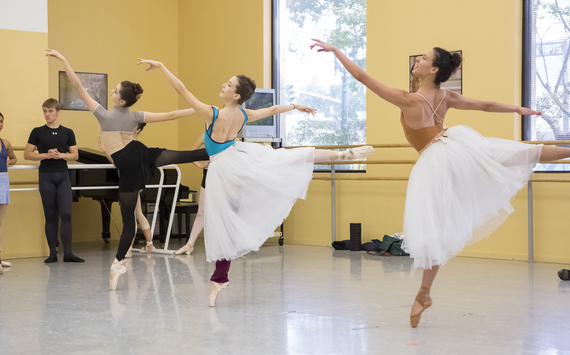 The Act III wedding celebration provides the excuse for a parade of virtuosity, of crystalline grace and lightness that exemplifies Bournonville style. Naples was also, in a perverse way, a source of inspiration for Sub Rosa, a brand new work by Canadian choreographer James Kudelka. For it was in Naples - more than 200 years before Bournonville basked in its gentle climes - that Italian Renaissance composer and Prince of Venosa, Don Carlo Gesualdo, assassinated his wife and her lover, the Duke of Andria, in what must rank as one of the most grisly murders of all time. Their bodies were found, grotesquely mutilated, in a royal apartment; witnesses had seen Gesualdo enter in a fury, threatening to kill the pair, then emerge, bloody-handed, only to reenter again to further butcher the bodies. As an aristocrat, Gesualdo was immune from prosecution, but his reputation grew only more lurid over time, even as he churned out some of the most heavenly music. For Sub Rosa, Kudelka has plumbed the tragic intersection of Gesualdo's life and work, in all its sordid glory. He chose Gesualdo's haunting madrigal, Moro, Lasso - heralded for the astonishing modernity of its composition (in 1610), its vivid contrasts of texture, its use of dissonance, and unearthly progressions that would not be heard again until the 19th century. Its subject - summed up in the lyrics "I die, languishing, of grief / and the person who can give me life, alas, kills me" - seems to echo the twisted thoughts that would torture Gesualdo throughout his life. For this wide-ranging exploration of the vicissitudes of love, Italian style, OBT is fortunate to have both Kudelka, master of the modern psychological ballet, and the legendary Frank Andersen, keeper of the Bournonville flame, in the cockpit. 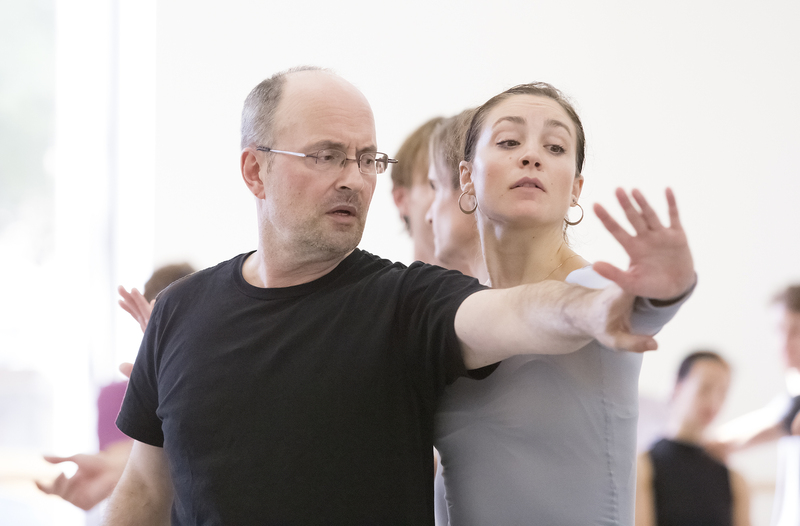 Once Artistic Director of the Royal Danish and the Royal Swedish Ballets, Andersen has spent months schooling OBT dancers in the rigors of Bournonville technique, and guiding local Portland artists on the set and costume design for this ambitious production. In addition, six OBT dancers traveled to Copenhagen this summer for Bournonville 'bootcamp' at the Royal Danish Ballet. Cementing the cultural exchange, Royal Danish Ballet star Amy Watson travels to Portland to guest star in both Napoli and Sub Rosa. The American-born Watson originally trained at the School of American Ballet and performed with the Suzanne Farrell Ballet before joining RDB. This experience makes her a rare exponent of both American Balanchine as well as Danish Bournonville style - the former characterized by speed, angularity, exaggeratedly high extensions, and an attitude of cool; the latter by a masked power, precise, fleet footwork, a delicate spiraling of the upper body, and stage manners of irresistible warmth and charm. 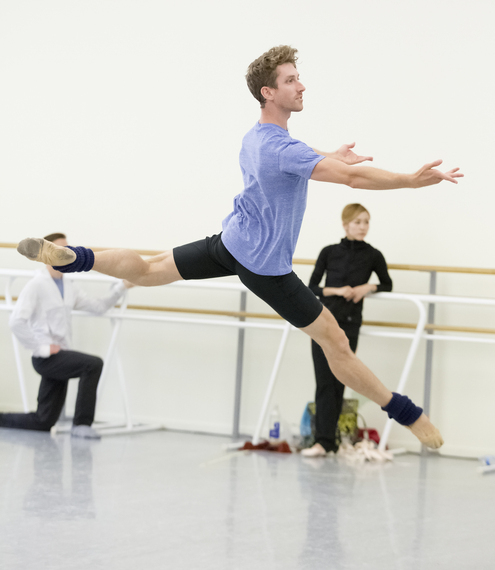 OBT Artistic Director Kevin Irving insists that "Bournonville is as essential to a ballet company's repertoire as Anton Chekov is to theater." The thoroughness of purpose with which the entire company has prepared for this season reflects, in equal measure, a desire to celebrate heritage and the audacity to use their art to explore darker places. Oregon Ballet Theatre presents 'Amore Italiano' from October 10 - 17, 2015, at the Keller Auditorium in Portland. The program opens with a selection of Italian compositions played live by Portland rock violinist Aaron Meyer and his ensemble.